To whom much is given, much is expected. In architecture, when one considers the responsibility that is afforded to create through design and construction, one wonders where the responsibility leads the architect, to create a monument for its sake, where others can marvel in awe at the physical specimen, or where those who occupy those creations benefit from the monument’s use and creation beyond mere occupation. 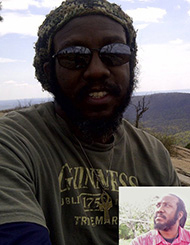 That line of demarcation was never an issue when the first pyramids were constructed; the philosophy of the ancient Africans was one of harmony through a holistic lifestyle. Though they were created as burial places for pharaohs, in its construction the pyramids represented the original environmentally friendly constructions. It comes as no surprise that the construction of the ancient pyramids of Kemet, now commonly known as Egypt, has been attributed to any other group of people, other than those of North Africa. There is another possibility to consider and is endemic of all that has somewhat arrested our development as a people from the continent of Africa; that the skill and technology that was used in the construction have somehow become lost throughout time. This would not be the last occurrence that time has caused a revision or recreation of history. The people from the continent of Africa are perhaps the only group who has not been successful in maintaining much of the culture and philosophies that once created legendary universities like Timbuktu, where the likes of Socrates came to be educated. Systems that created communities where the old is revered and cherished as the keepers of knowledge have been lost. Traditions that taught the young how to be a part of a process whereby the knowledge they gain must be passed on to the young are no longer practiced. This void has been filled with the beliefs and philosophies of others. And so the pyramids of Egypt, whose creation is nothing short of architectural mastery, were not seen as the creation of Africans, but it is clear that we did possess the mindset and technology. According to Donald Redford, professor of Classics and ancient Mediterranean studies at Penn State, the construction of these pyramids was a huge undertaking, but not impossible. By his estimation, 20,000 to 30,000 workers would have worked for just around 23 years to complete one of those pyramids. In comparison, the foundation stone for the Notre Dame Cathedral was laid in 1163, and its completion was consecrated in 1345. One might be tempted to attribute the construction of those pyramids to alien life forms, but when the greatest architect known by the name of Imhotep designed these pyramids, an examination of who and what he shows that this is possible. Imhotep was also a physician, scribe, philosopher, mathematician, and theologian. He did not understand one thing well, he understood many things well, and in doing so, he understood the relationship between many things. So when contemporary architects labored over the architectural composition of the pyramids, Imhotep’s mastery of the relationship of entities, allowed him to design the pyramid at Saqqarrah so that it opened up into builders' yards, where large carved stones were constructed. Prior to this, bricks were dried outside in the sun and carried inside. The process of land-sliding; pouring sand over the blocks to close certain passageways in the pyramids was another innovation of his. 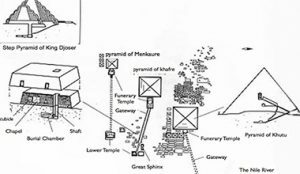 He included temples, a burial chamber, sculptures of King Zoser, and pavilions all connected by a system of underground passages. Monumental accomplishments indeed, but not impossible achievements. The pyramids were constructed from limestone. It is important to understand as well that these were not carved into blocks from massive walls of limestone and then transported. 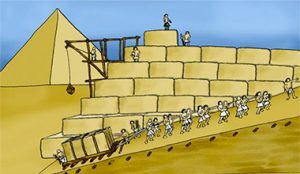 Those images of workers gathering those huge blocks and throwing them one by one on their backs to then walk up ramps and eventually setting them upon the pyramid are not entirely accurate. 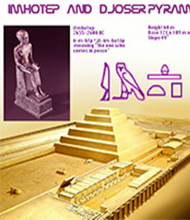 The blocks were manufactured in those yards that Imhotep designed. The findings of Professor Michael Barsoum from the Department of Materials Science and Engineering at Drexel University who investigated the composition of the materials over a period of five years support the construction of the materials used. His examination discovered that the material used to construct the blocks was reconstituted limestone, held together with either silicon dioxide (the building block of quartz) or a calcium and magnesium-rich silicate mineral. According to him, the stones had a high composition of water, and this was inconsistent with the natural limestone found in that region. Furthermore, the molecular structure of the blocks was inconsistent with that of natural limestone, and the eventual discovery of silicon dioxide an important constituent of a great many minerals and gemstones in spheres consistently among the blocks indicates that they have been intentionally put there and mixed. They were not a random occurrence. Another important consideration that the use of the materials in the construction of the pyramids allows would be the environmental benefits from its construction. The materials used in these monuments that have continued to stand throughout time can be found anywhere in the world. 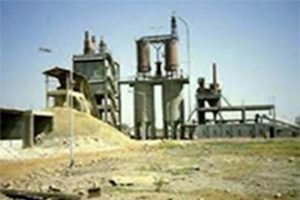 Recreating this type of concrete compared to how concrete is manufactured today via the Portland method would reduce the release of 6 billion tons of carbon dioxide in the air on a yearly basis. The raw material used via the Portland method is heated to about 2,700 degrees Fahrenheit in huge cylindrical steel rotary kilns lined with special firebrick. 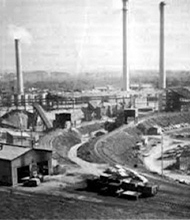 The material created is then subjected to blasts of flames controlled by burning powdered coal, oil, or gas under a forced draft. Through this process, certain elements are released into the atmosphere in the form of gases. The rest combine to create what is called clinker, which is then discharged red-hot to eventually cool. 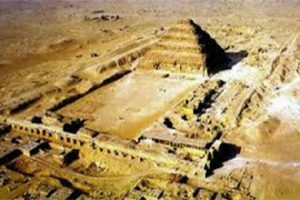 The combination of the intensive use of non-renewable resources and the release of gases to occupy the atmosphere in an indication of the environmental responsibility that took place through the construction of the pyramids. The creation of the Egyptian pyramids is a testament to the ingenuity of a people who have yet to reclaim their greatness. Consummate leaders in more ways than one, but through its architecture, a way of seeing the world and living comes alive. Hotep.